Raising difficult subjects with your elderly parent is never easy. You don’t want to upset them or make them feel incapable. However, if you have started to notice that your parent is not coping as well as they once used to, either mentally or physically, it is important to talk to them about it so that you can come up with a solution. Of course, you are worried that you will damage their self-esteem or wound their pride, but ensuring they are healthy is the most important thing. Plus, there are ways you can approach the subject in a gentler manner. With that in mind, read on to discover how to raise difficult issues with your elderly parent, as well as some of the topics you should be raising. What sort of issues should you discuss with your parent? Before we reveal how to broach difficult topics with your parent, let’s first take a look at the different issues you should discuss with them. 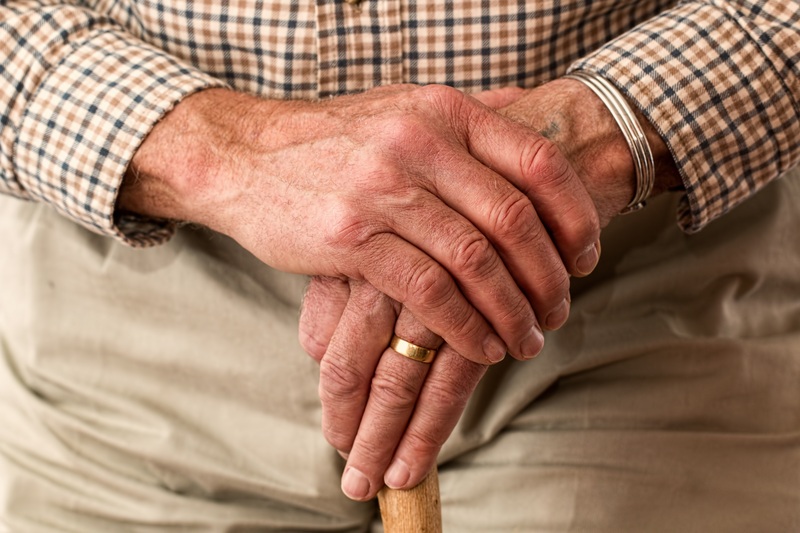 Managing their affairs – You may want to consider a power of attorney if your parent has been ill or is finding it difficult to manage their own affairs. A lot of people assume that this is a step that is only taken when someone is not well enough to know their own mind. However, it can often be beneficial to discuss this before you reach that stage. There is two power of attorney options – finance and health. The former means managing financial affairs on their behalf, and health means making medical decisions on their behalf. If you have siblings, you should consider holding a joint power of attorney with them, as this can easily be a source of sibling conflict. Your parent’s living arrangements – The time may have come to assess your parent’s living arrangements. Should they live with you? There is a lot to consider, including whether it is the right environment for them, if they want to live with you, if your home can be adapted if needed, if you have the time to assist them, and how it will impact your family life with your children and your relationship with your partner. You need to be honest with yourself – don’t make a decision out of guilt. Whether they can live alone – If your parent cannot cope at home, it may be time to discuss either getting help at home or moving to an assisted living facility with experienced professionals that will give them the care they need to manage their health. This is important if your parent needs rehabilitative assistance, as well as if they are struggling to manage in their home, for example, if they find it difficult to move around, get showered, and get dressed, if they feel lonely and isolated, and if they are nervous about living alone. Make sure the situation is a relaxing one – When you do bring up a difficult subject with your parent, you need to ensure that the situation is as relaxing as possible. It needs to be private enough for you to have a sensible conversation, so make sure your kids aren’t running in and out. Nonetheless, you don’t want your parents to feel pressured or worried; so don’t build it up into a big, serious event. Be prepared to listen – You may think that you have it all planned in your head already, but it is important to listen to your parent and accept their point of view. It is their life after all. Manage the process gradually – People do not like change, especially when they get older. This is why you need to manage this as a gradual process. Take things step-by-step. Revisit conversations – As you need to handle things gradually, you need to be prepared to revisit conversations a number of times. Your parent must have time to think on their own about the suggestions you have made. Don’t expect an instant answer. People are less likely to respond positively when they feel like they are under pressure. Think about your parent’s view before you have the conversation – Before you sit down to have a conversation with your parent, think about their likely viewpoint and possible objections. By planning this in advance, you will be able to answer them knowledgeable and calmly. You may even be shocked to learn that they have already thought about the issues you are raising, and they may have solutions that you had not thought about previously, so be prepared to listen to them. Discuss the issues with your siblings and any other key family members – It is important to discuss the issues with your siblings and anyone else that is close to your parent. Don’t turn this into a huge family discussion. Your parent won’t want to feel like everyone has been discussing them behind their back. Only keep immediate family members involved. You need to ensure that you and your siblings are all on the same page before you discuss things with your parent. The last thing you want is a family dispute on top of everything else. All in all, there is no denying that broaching subjects such as living arrangements and power of attorney can be extremely difficult. However, if you have reached the stage whereby your parent is struggling to cope, it is imperative to have such difficult chats with them. Instead of diving straight in, make sure you use the advice above. Plan for the talk carefully, make sure you are in agreement with your siblings and, most importantly, listen to what your parent has to say.